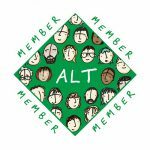 ALT was approached by a writer for ManagerSeminare (German monthly magazine on professional training and development) asking for comment on Learning Analytics. 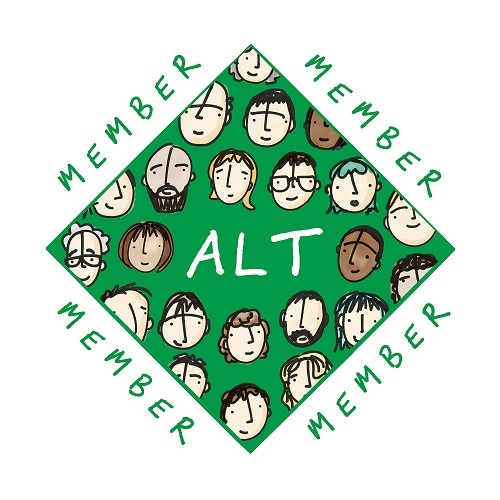 Given the questions asked the views of ALT Members we put the questions to them to discuss via the ALT-MEMBERS JiscMail list. These are the resulting reflections taken 21st-28th March 2014. The editorial processes has only made minor corrections to spelling and grammar. The editors notes are in italics. What is your definition of learning analytics and how would you distinguish learning analytics from educational data mining? Learning analytics (LA) is data generated by engagement in online learning activity usually relating to how/when activities accessed, scores etc. Educational data mining (EDM) is extraction of data for analysis possibly for commercial purposes or to identify trends for research purposes. Learning analytics is the intelligent use of data about learner behaviour. It overlaps with educational data mining but can also include data about an individual learner”s behaviour. Data mining assumes using bulk data. I don’t see, or perhaps don’t want there to be, a big distinction between the two. LA has more origins in learning, EDM in computer science and knowledge discovery. Both are converging and should converge with LA knowing more about EDM and vice versa. If we stick to the agreed definitions EDM is much more about the development of models and techniques (some of which borrowed from completely different domains) and experiment/fit them in the educational context. In my view this lends itself more to exploration, R&D and academic pursuit. How can we use learning analytics to adapt and improve learning processes? It is important that analytics be seen as a way of informing learners as well as instructors/managers. Also a way of influencing learning design. Well designed analytics tools for example can help a student to work more effectively and better understand their progress. I agree – with above. I think it’s useful to consider them as one of a variety of the feedforward mechanisms we can use. By identifying single points of design failure and success contexts. Use data to inform students, teachers, designers, researchers about learning by learners. Our kaltura integration [kaltura.com] gives the course tutor an opportunity to see how students are using their video resources (drop out points etc) helping to inform learning design. Analysis of failure in online course completion rates showed high failure on start and to submit first project. Led to new ‘#getting started’ module. Using information on students’ misconceptions in algebra for a subsequent lesson addressing this misconception. Based on the possibilities of “big data” – what kind of predictions and recommendations are possible? In Learning Analytics Big Data is a bit of a red herring. The majority of data being dealt with neither has the volume or velocity to really be ‘Big Data’. More importantly it is perhaps important for Learning Analytics to distance itself from Big Data. Big Data is more often interested in correlation rather than causation. So Amazon doesn’t care why you like fly fishing and grunge music as long as you end up at the checkout with both. For Learning Analytics to be effective and useful we should never forget to care. Analytics by it’s nature will generally churn out a number, but as educators we should care what that number means and be ready to interpret what it means for the learner and learning environment. To me, the Big Data hype seems to be more about management information. No particular focus on learning, unlike LA and EDM. However, perhaps some techniques can be utilized for useful LA/EDM applications. This about scale: if the data of a single ‘learning opportunity’ or an individual course is considered, this is not big at all. However when one starts to aggregate to institutional level or sector level it is a completely different story. One could argue that learning is bound to its context and therefore aggregation is meaningless, but this is where we need to work on and the evidence comes from the relatively big data in moocs. However, would institution be willing to share data? What are the ethical implications? How useful it would be? And what kind of disadvantages or risks do you see (e.g. for employees)? Users of online environments generally understand that they leave an electronic footprint and that their activity is tracked but should they feel that information is used maliciously or shared inappropriately there is a real risk of disenfranchising them. There is a real risk of forgetting the human element, by solely focussing on activity online only. This data can be indicative at best; it’s not ‘true’ or the sole source of truth about an individual. Absolutely agree with above, learning is a complex, social, sometimes unconscious event – try designing an algorithm for that! I agree with the comment about the risk of forgetting the human element. Clearly it can be of some use to gather and analyse data about how and when students interact with online resources etc. But there is a huge danger in thinking that we can understand how people really learn just by analysing data. Human learning, human achievement and human capability are complex non-linear systems (properly so called) and during the last 70 years scientists have increasingly come to realise that complex non-linear systems cannot be understood by reductionist measurement. We need less data and more understanding of the big picture. Although I understand the criticism of Big Data as described above, I do see history repeating itself with a ‘clash of the paradigms’. The ‘human’ element to me seems the ‘interpretive paradigm’. Valid and worthwhile but lets not disregard some advantages of the positivist more quantitative paradigm as well. I think the main risk lies in ‘data fishing’. You’re bound to find interesting things in large datasets. The challenge is to measure what is valuable rather than valuing what is measurable. Big data is not the same as the big picture. Although I understand the criticism of Big Data as described above, I do see history repeating itself with a ‘clash of the paradigms’. The ‘human’ element to me seems the ‘interpretive paradigm’. Valid and worthwhile but let’s not disregard some advantages of the positivist more quantitative paradigm as well. I think the main risk lies in ‘data fishing’. You’re bound to find interesting things in large datasets.